Amy Grant may think that Christmas it the most wonderful time of the year, but at the dairy, we think silage chopping time is actually the best! Or maybe just the most high energy. Ok, fine, Amy. You were right all along. But silage is still a pretty sweet time of year, no matter how many CDs you sold! Where was I? Oh! 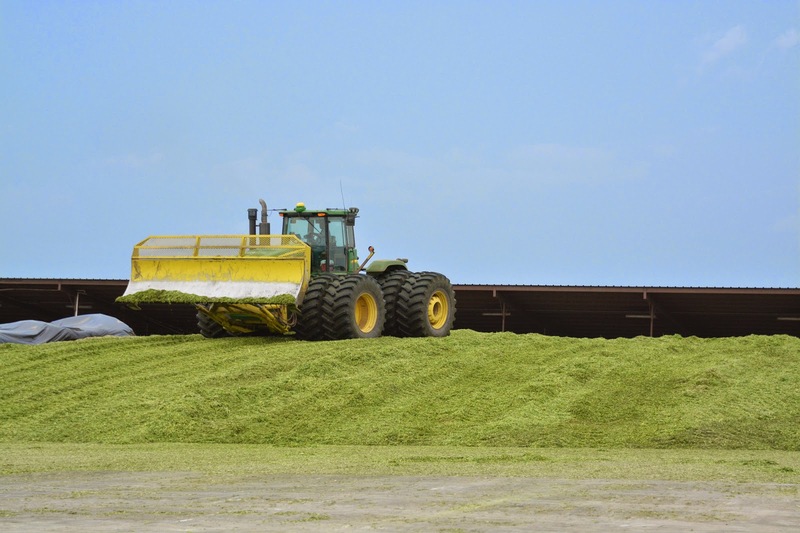 What is silage? you're wondering. It's ok. I was too the first year. Turns out I have this handsome farmer who is happy to explain. Have a read! 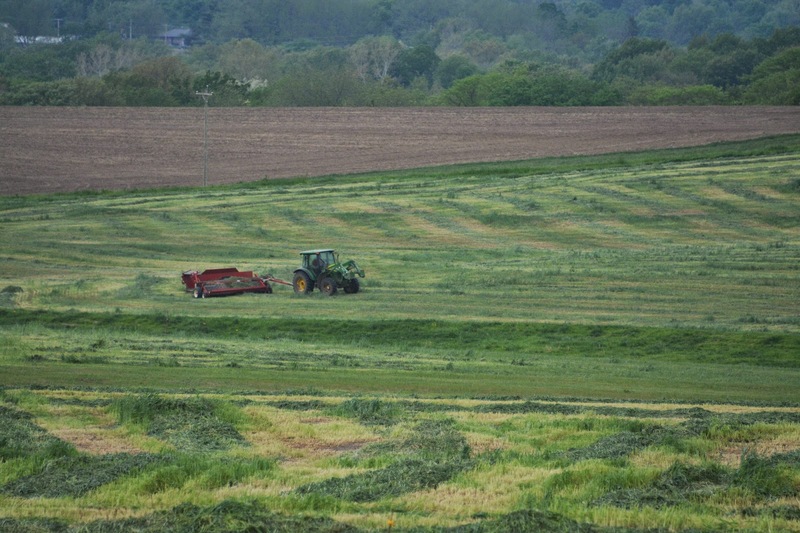 Chris: Silage is harvesting and ensiling a forage. Me: Wait. What's a forage? Isn't that what dogs do behind dumpsters? Chris: Uhhhh, moving on . . . When you're feeding animals, most feeds are going to fall into the category of a forage or a concentrate. 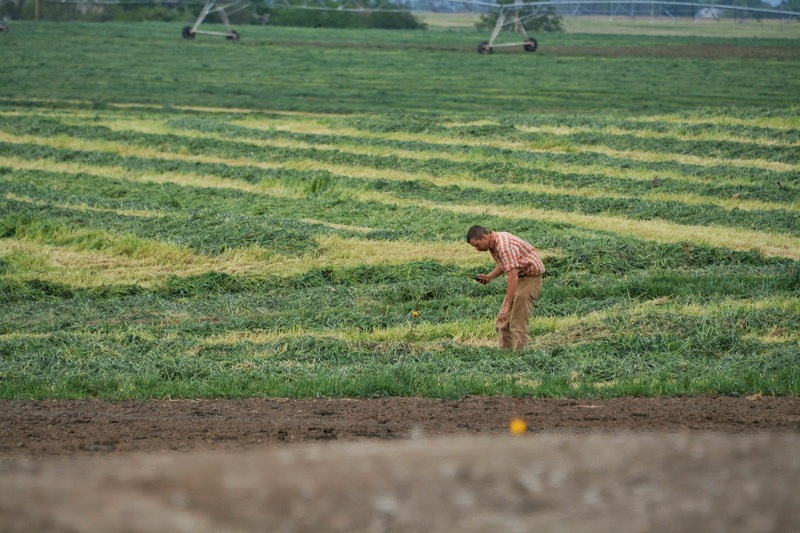 Forages are grass hays, legume hays like alfalfa and clover, or silages. Concentrates are any sort of grain like ground corn, soybean meal, cotton seed, etc. Me: Which kinds of animals need what? Chris: Concentrates have a different nutrient profile than forages, and ruminates, like cows, require forages as well as concentrates. Monogastrics, like poultry and swine, don't require forages. Chris: When we're talking forages, the difference between hay and silage is essentially how wet or dry it is when it's harvested. 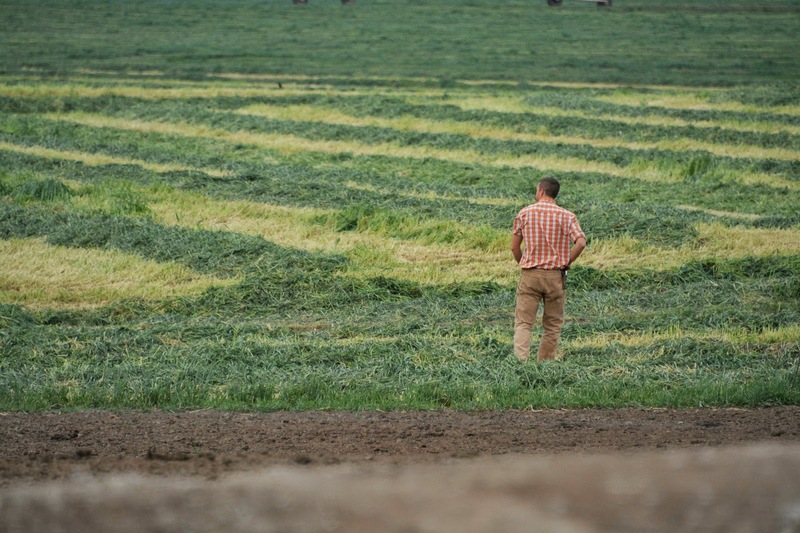 Alfalfa, for example, if allowed to dry after it's cut in the field, can be baled as hay, or after it's cut, a silage chopper can come through directly afterwards and the alfalfa can be ensiled as silage. Me: What makes you choose one over the other? 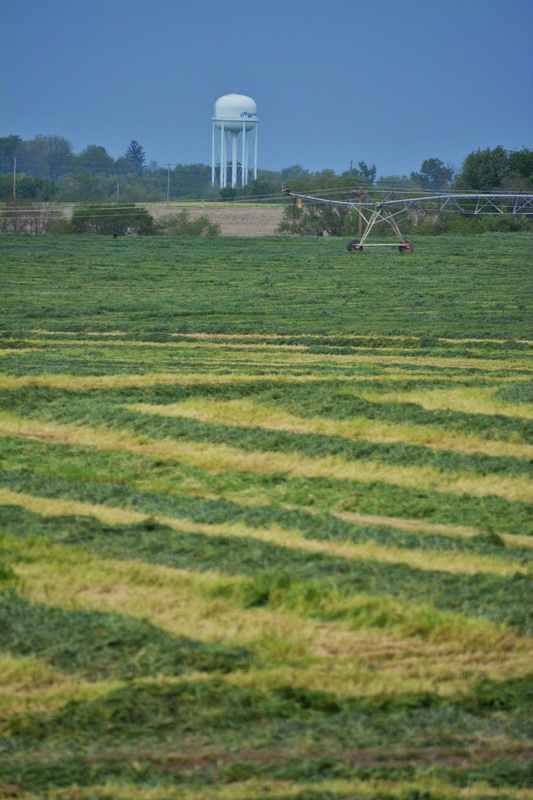 Chris: There are a lot of different factors that determine whether you do hay or silage. 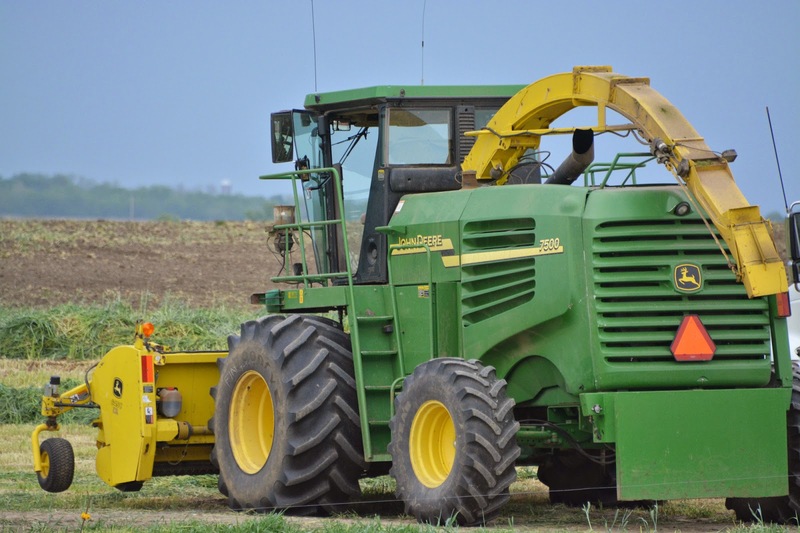 Those might be length of time that you're storing it, distance to the end destination, storage capacity on the farm, weather patterns, equipment availability and end nutritional need. Depending on what the answers to those concerns are, rye can be harvested as a grain or as a silage. Me: How do you know when you're ready to cut rye for silage? It all just looks green to me. Chris: It depends on what your end nutritional need is. There are numerous stages you can cut, but the more mature it is, the more volume per acre you'll get, but the lower the nutritional value will be. For dairy purposes, we try to cut the rye before the heads pop out. Once the rye is headed out, it ceases to be good feed for milk cows because the nutrient profile has changed. However, rye that's headed out will still make good feed for heifers or for cows that are not milking. After the rye heads out, it will continue to dry down for the next several week until it turns a yellow gold color at which point it will be harvested for grain. The grain comes out of the head, and the rest of the rye become straw, which we use for bedding. Adriane: So how exactly does the rye get from the field to the cows' mouths? Chris: First step: Check your phone and see what forecast is. In the spring, it's hard to find three or four days of good, dry weather where the ground is solid enough that trucks can run on it. Second step: Make sure the rye is in the appropriate stage to be cut, depending on how you're going to use it. 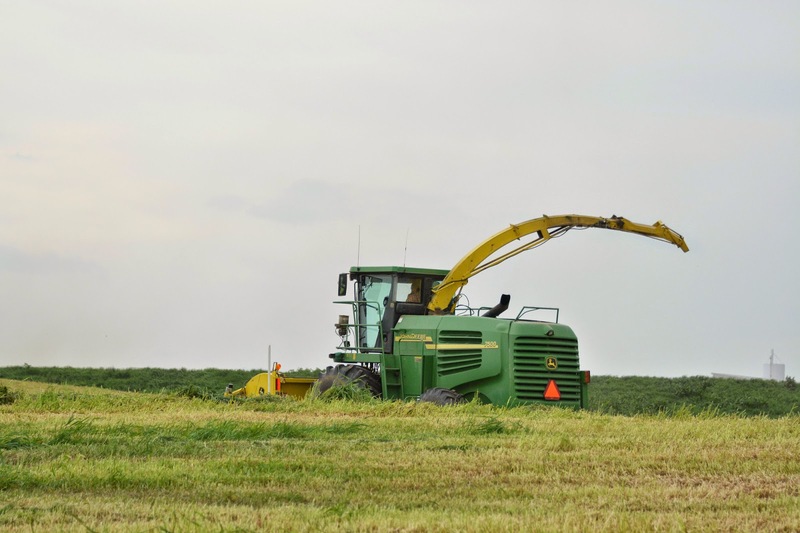 Third step: The cutter (AKA hay cutter, swather, windrower, mower conditioner) drives through the field and cuts the rye off about an inch above the ground and consolidates fifteen feet of rye into one four-foot wide windrow. Fourth step: Anxiously wait for the rye to dry to the ideal moisture level for ensiling. Fifth step: Once the moisture level of the rye is close, the merger or a hay rake will go through the field and consolidate two or three windrows into one. 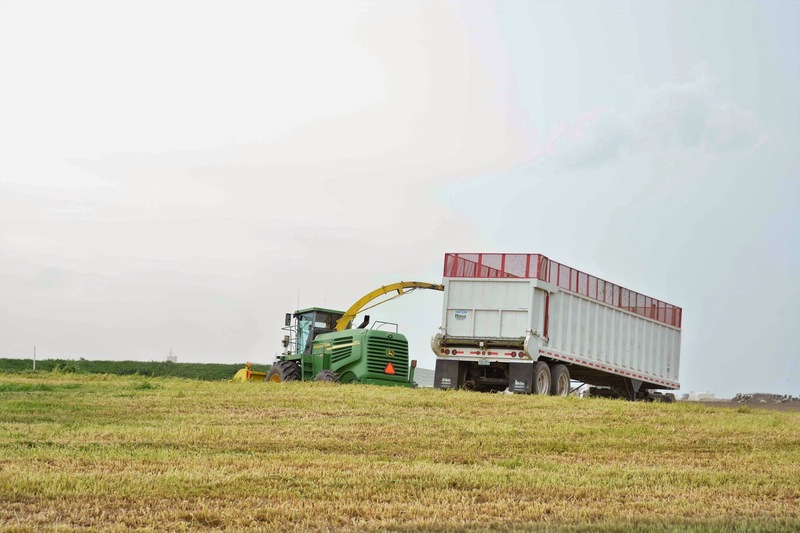 Sixth step: The silage chopper will go through the field, with several trucks, pick the rye up off the ground, chop it into inch-long pieces and blow it into the truck driving next to it. Seventh step: The truck heads back to the bunker silo and dumps his load of cut rye. Once the truck's out of the way, a tractor with a large blade pushes the pile of rye into a larger pile that the operator is forming. He will continuously drive back and forward over it, packing it very tightly. This helps the silage ferment and store well. 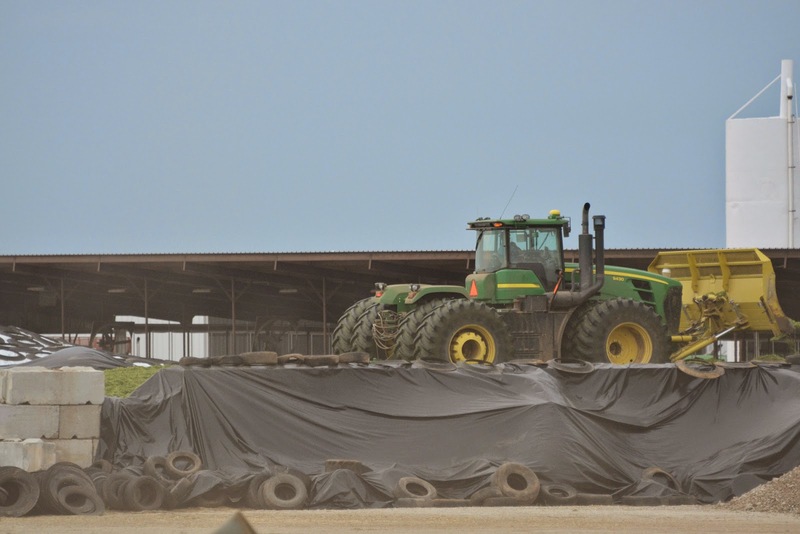 Eight step: Once we're finished chopping rye, we cover the pile with two layers of plastic and place tires on top of the plastic to help seal it tightly and keep oxygen out of the silage. Ninth step: After several months of fermenting and curing, we will begin to shave off the edges of the pile and feed it to the milk cows, who will make great milk out of it, because silage is easily digestible due to the fermentation process. Me: What's the general mood on the farm when it comes to all this chopping business? Chris: Usually everyone is very excited to start silage . . . and they're also very excited to be done with silage. It's a hectic, fun time where everybody pulls together, things are moving a mile a minute and adrenaline runs high. Me: It stresses me out, and I just ride in the chopper with you. I'm not even doing anything. Chris: I know, honey. I know. Ok, so maybe silage isn't the same as Christmas, but when it comes to feeding cows the high-quality, nutrient-rich ration they need to make healthy milk, every day's a little holiday around here! Any more silage questions for Chris? I'll follow him around until he answers them. I promise.